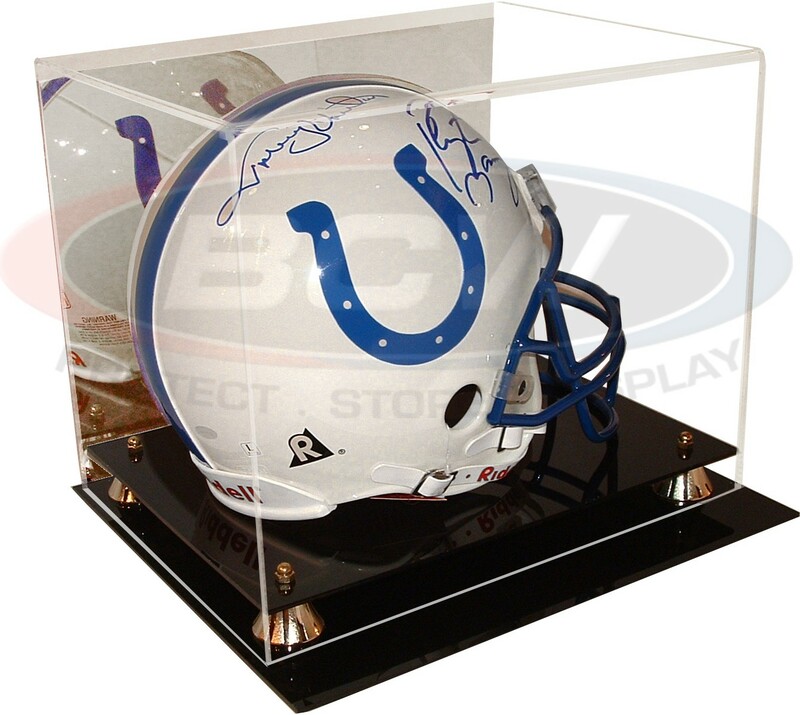 This deluxe acrylic display case from BCW for a full size football helmet (should also fit most racing helmets) features a black base with gold risers, clear cover, and a mirrored back. Exterior dimensions 12 3/4 X 14 3/4 X 12 inches; interior dimensions 10 1/2 X 14 X 10 1/2 inches. BCW acrylic displays contain UV absorbers to help protect your memorabilia from ultraviolet yellowing. DISPLAY CASES ARE NON-RETURNABLE. DUE TO THE SIZE OF THIS CASE, IT CANNOT BE SHIPPED OUTSIDE THE UNITED STATES.